If you’re interested in working in a field that involves studying the planets, the solar system, and other aspects of the universe, consider investigating the many opportunities for careers in space science. Every country that operates a space exploration program has a limited number of career opportunities for astronauts. Individuals who want to pursue careers as astronauts must undergo rigorous training and meet stringent physical fitness criteria. Competition for these positions is fierce, and only the most outstanding candidates are likely to be accepted into their country’s astronaut training program. While it is the astronauts who travel to outer space that get the most attention, it is the engineers who make space exploration travel possible. In addition to designing spacecrafts, space vehicles and space stations, engineers also create the space satellites that help us better understand the weather and climate conditions that impact our daily lives. 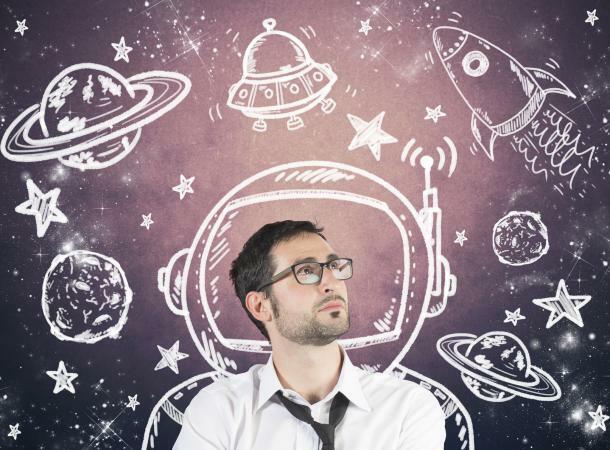 There are opportunities for many different types of engineers in the field of space science. (a) Discuss with your counselor a robotic space exploration mission and a historic crewed mission. Tell about each mission’s major discoveries, its importance, and what was learned from it about the planets, moons, or regions of space explored. (b) Using magazine photographs, news clippings, and electronic articles (such as from the Internet), make a scrapbook about a current planetary mission. (c) Design a robotic mission to another planet or moon that will return samples of its surface to Earth. Name the planet or moon your spacecraft will visit. Show how your design will cope with the conditions of the planet’s or moon’s environment. 8.Discuss with your counselor two possible careers in space exploration that interest you. Find out the qualifications, education, and preparation required and discuss the major responsibilities of those positions.